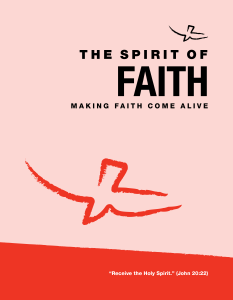 This booklet provides discussion and sharing material for seven sessions—all of them focused on the gifts of the Holy Spirit. Participants learn how the Holy Spirit is at work in their lives. With discussion questions, prayer, and references for further reading in the United States Catholic Catechism for Adults, these inexpensive booklets will serve many parishioners.